Details for our Fall Retreat coming soon. 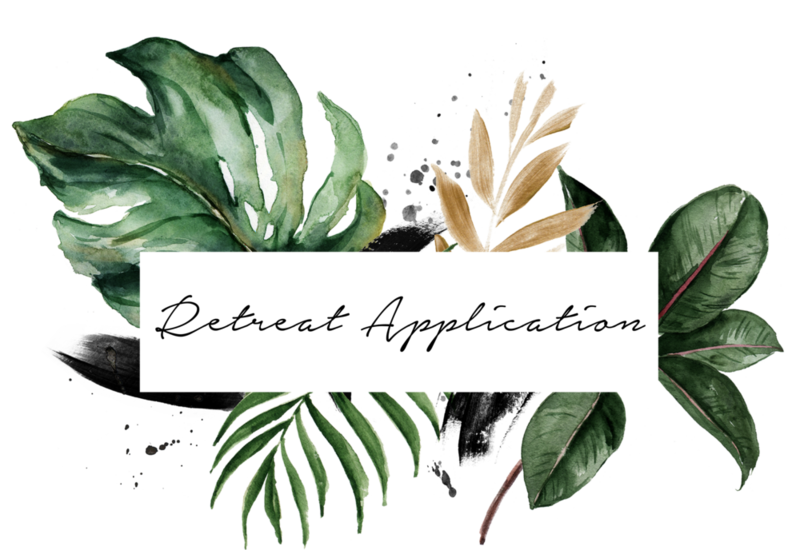 Provide your email address to be the first to know about our Fall Retreat! This will not be a defeating or draining weekend, but an uplifting time where you will be encouraged and equipped. 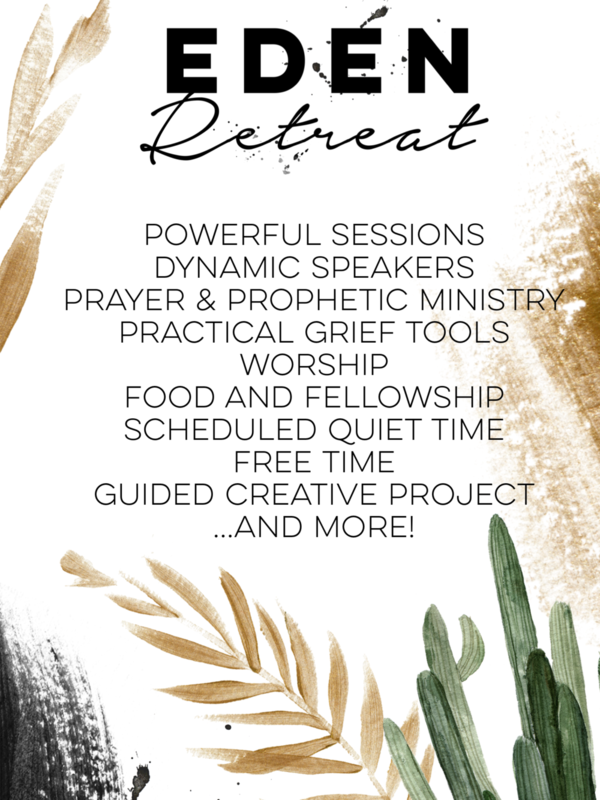 A powerful team of women will be there to support you and give you the tools you need to go deeper with the Lord on this journey of grief and emotional healing. We require a short application, and we will process it and send you a registration link within 1-2 business days. I came to the Eden Retreat as a Mother who was broken, sad, and angry after losing her baby girl 3 months prior. My only prayer to God was that he would show me a “new light”. I simply didn’t know what else to pray for as I’ve been told by the world that true healing isn’t really possible. Jesus did a work on my heart from the moment I started traveling to the woods of Oklahoma. He found me in the community of sisters who were going through the same loss as I was. He found me through the incredible worship songs selected to praise Him. He found me in nature on our hike and during solo meditation and prayer. And He found me while speaking through each one of the Leaders at the retreat. It was no coincidence that He would have me step outside of my comfort zone and travel to meet complete strangers so that He could give me such a gift. His promise was evident to me as I felt my anger and confusion and brokenness begin to fall away during this life changing weekend. Blessed by compassion, empathy, and best of all genuine teachings from the Bible I was shown a “new light” at the Eden Retreat. While delivering our son, Zadok, July 2, 2018 at about 17 weeks was the most painful experience, grieving with God made the biggest difference. In December when I saw the post advertising the Eden Retreat, I’d been at a place of learning closure doesn’t necessarily mean the grieving is over. I’d been feeling like I’d nosedived back deep into grief and didn’t know what it looked like to be gracious with myself and grieve healthily while also being obedient to Holy Spirit’s guidance in my life. I prayed for a way to be able to go, filled out the application for a scholarship, and received a call the next day of being awarded the scholarship—I knew He wanted me there. I was blown away by the faithfulness and love of God! The I Am Fruitful team was not only hospitable and organized in planning an event, but they also came spiritually prepared and geared up with encouragement, intentionality, teaching, and prophetic words, ready to meet us right where we were—all in different stages of grief with varying experiences—and call us deeper into relationship with Jesus where healing and destiny happens. 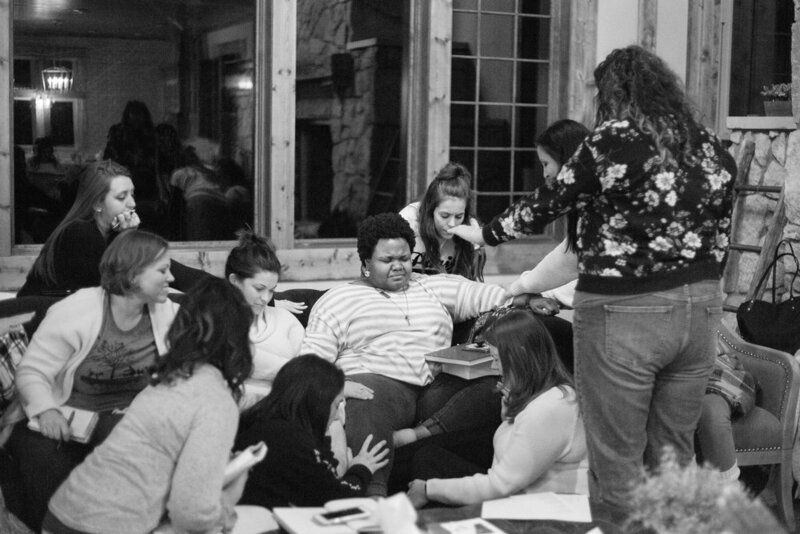 The weekend was jam-packed with the meat of God’s Word, the tenderness of His heart, and the sweetness of the Spirit, while also encouraging getting alone with Him during downtime. Donate to sponsor a grieving woman who has recently experienced a miscarriage or baby loss. If you want to help sponsor a friend, please provide their name. Lauren Bourne is the Founder and President of I Am Fruitful. She and her husband, Billy, are passionate about inspiring hope through infertility and loss. They inspire others to walk with strength and purpose, even in their wilderness seasons. Lauren is an entrepreneur, dreamer, and speaker who is passionate about helping women step into their giftings and understand their identities. She’s on a personal mission to stir a passion in women’s hearts to support each other instead of dimming each other’s light bulbs to shine. On any given day, you will probably find her wearing a messy bun and drinking coffee with a toddler on her hip- while making another list, praying for a housekeeper, or punching the devil in the face." Click here to invite Lauren to speak at your next women’s event.